Deadline extended to 17 February 2019. Why enter the 2019 Awards? Illustrators, commissioners, agents and tutors are invited to submit work created or published since January 2018 until the deadline into the eight categories of the Awards.Each category will be judged by a panel of international experts. • Feature in a major exhibition in central London. • Be invited to attend the Awards Evening in July, a highlight of the illustration industry event calendar. Receive incredible exposure across our digital and real-world networks: the WIA is a proven platform for illustrators to consolidate and expand networks. • Overall New Talent Winner: One of the eight New Talent Category Winners is named as the WIA2019 Overall New Talent Winner. They will win a generous cash prize £1,000, and a copy of the Directory of Illustration No. 36. • Professional and New Talent Category Winners: All 16 Category Winners (one New Talent and one Professional per category) receive a WIA Trophy, an enhanced entry in the catalogue, a profile feature on the AOI website, and a complimentary AOI membership for one year with all the benefits this brings including business advice, discounted online portfolio and Varoom subscription. Professional and New Talent Highly Commended in each category: 16 Highly Commended Projects (one New Talent and one Professional per category) will receive a WIA Certificate. AOI Member Award: Selected from any AOI member shortlisted for the WIA2019. The winner will receive a complimentary year-long membership plus folio, a copy of the Guide to Law and the current Directories, worth £296.95, a WIA Certificate and profile feature on the AOI website. SAA (Society of Artists Agents) Agents Award for New Talent: All shortlisted New Talent entries will be eligible for the SAA Agents Award for New Talent, offering the winner a six. month trial representation with one of the leading SAA Illustration agents, which will include mentoring and career development. During that time, the winner will also benefit from having their work showcased on the SAA’s website and across their social media platforms. The winner will also be presented with a WIA certificate and profile feature on the AOI website. DI (Directory of Illustration) Award: The DI Award winner will receive a single page marketing package in the Directory of Illustration No. 36, valued at $2,695 US Dollars. 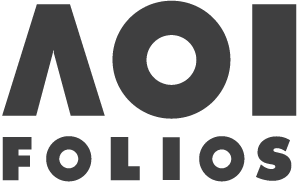 The program includes a 100-image professional portfolio on directoryofillustration.com plus a one-on-one consultation with a professional Directory of Illustration marketing consultant on how to best present your work to the American market. The winner will also be presented with a WIA certificate and profile feature on the AOI website. Entry fees can be paid in three currencies: GB Pounds (£), US Dollars ($) and Euros (€). Any other currency will be converted by your card issuer at point of payment. Current individual AOI Members (or corporate members entering their artists at time of payment) automatically receive a 20% discount on their entries. Find out more about how to become an AOI member here.